Railway Recruitment Board (RRB) is all set for the recruitment of Non-Technical Popular Categories (NTPC) for 35,277 vacancies. It is a great opportunity knocking at the door of all the government job aspirants awaiting to be a railway employee. RRB NTPC has been one of the most popular railway career options for the people with non-technical background. Many of you must be curious to know the previous years RRB NTPC exam analysis and the questions asked in the same. RRB NTPC was previously held in 2016, for which the notification was released in 2015. To get you an insight on the pattern of questions asked, here is the RRB NTPC exam analysis for the exam held in 2016. The 1st Stage CBT is tentatively scheduled between June to September 2019. Stage 1 is of screening nature. The candidates selected for stage 2 will be 20 times the number of vacancies for each post. Mathematics of RRB NTPC consists of both arithmetic and advance maths. 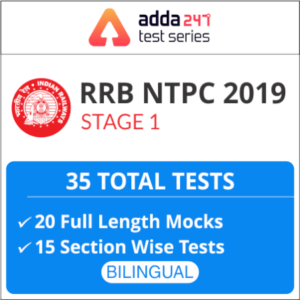 The questions asked as seen in the RRB NTPC Exam analysis, are distributed equally among different topics. Students are advised to practice each topic thoroughly and be prepared for the same. No topic should be left out in order to score good marks. The distribution of questions can be seen from the below table. 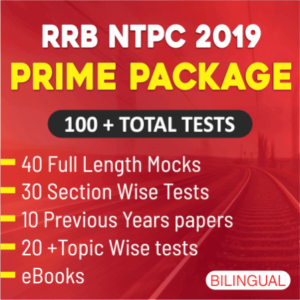 Hope you have got an idea about the number of questions asked with the given RRB NTPC exam analysis and we wish you all the best for RRB NTPC 2019.